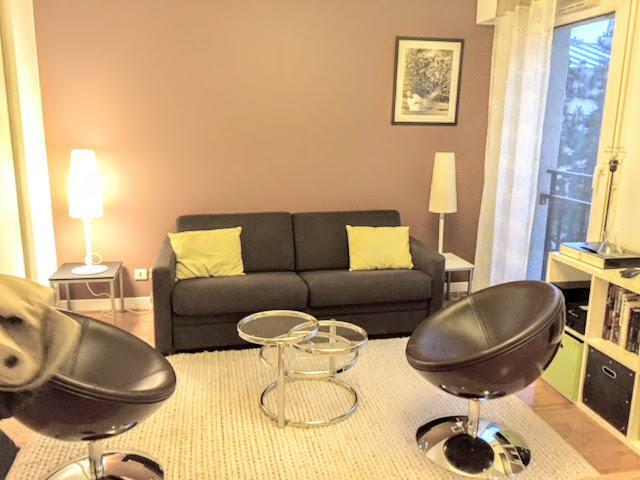 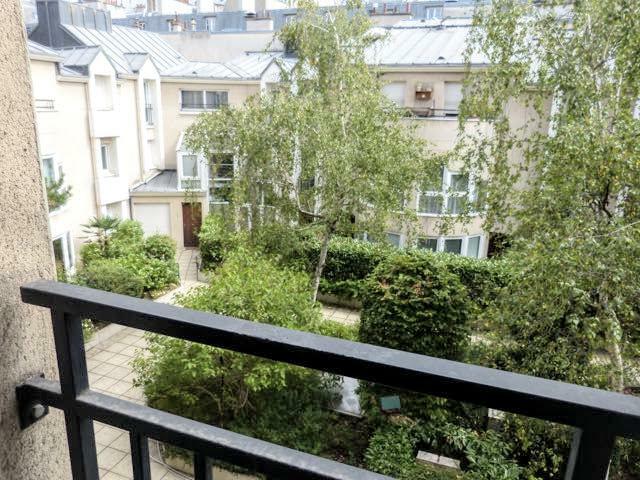 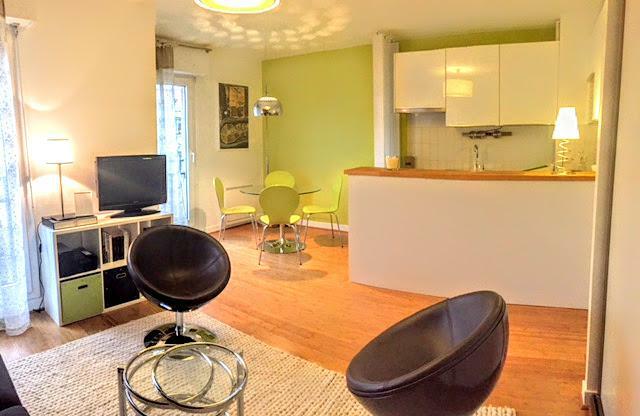 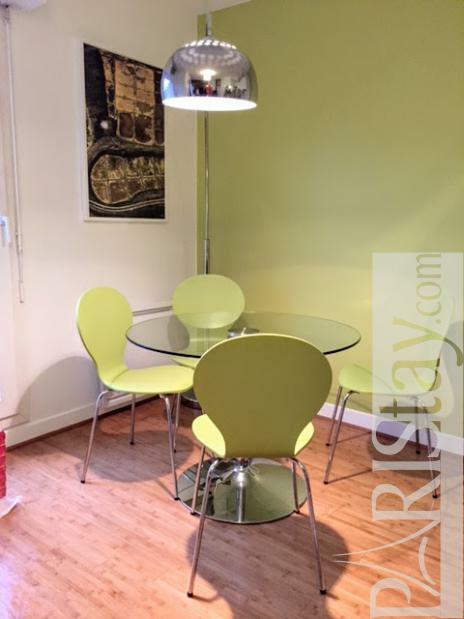 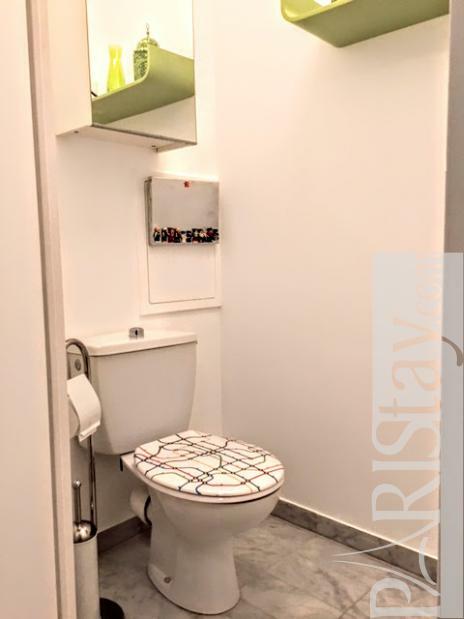 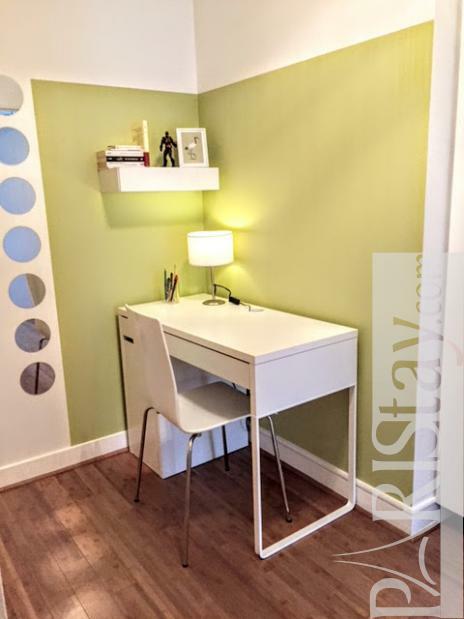 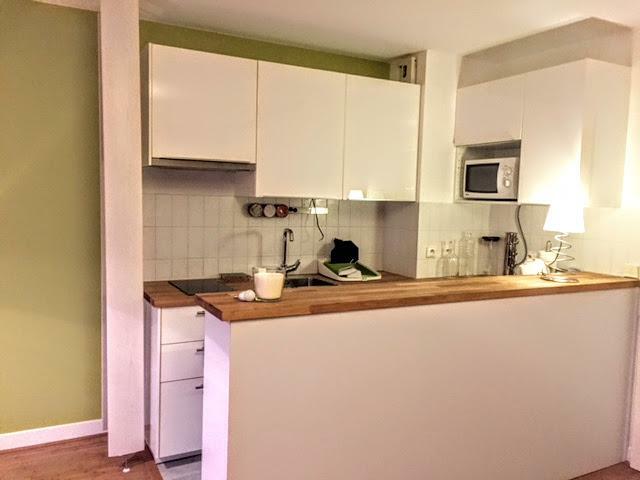 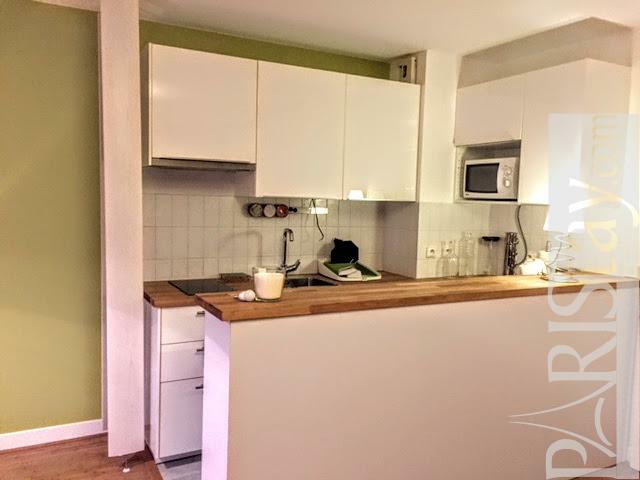 Spacious and quiet Paris Studio apartment for rent located in the trendy Bastille area, a few steps from the Opera Bastille and the wonderful Marais area. 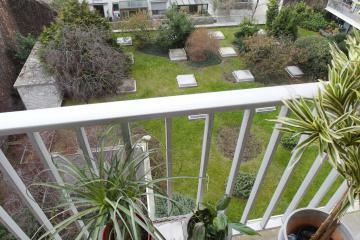 This flat is situated in a contemporay residence, on the 2nd floor with lift, and offers a pleasant view on a garden. 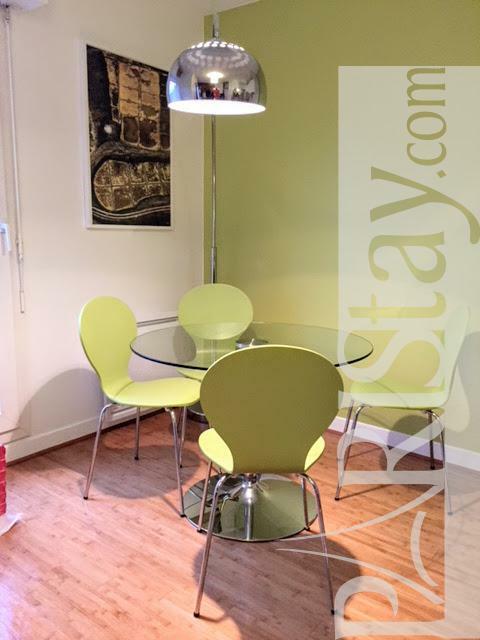 Spacious living room with 2 windows, an open uquipped kitchen, a comfortable sofa bed, a dining corner with a table that seast 4 people. 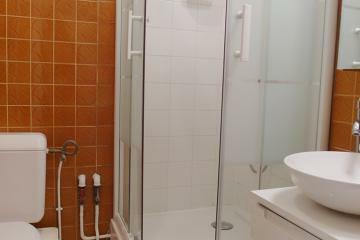 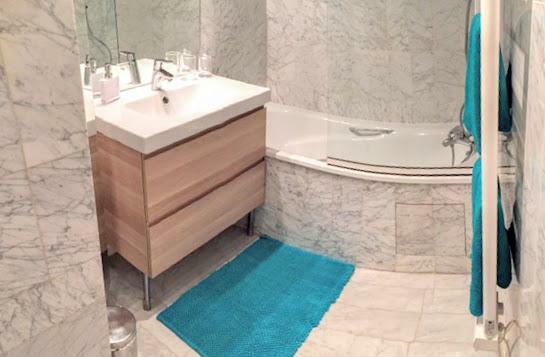 Bathroom with a bathtub, separate toilets. 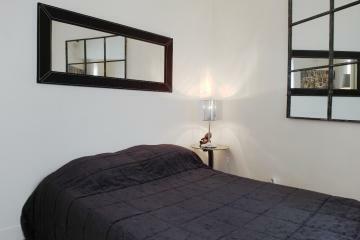 A perfect nest for your next long stay rentals in Paris. 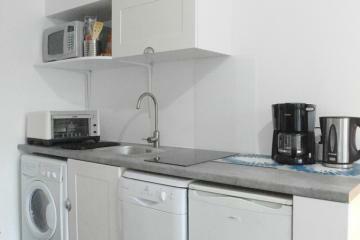 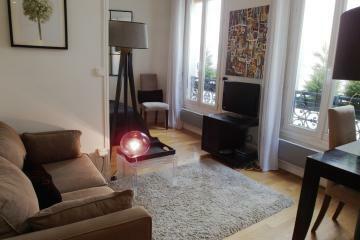 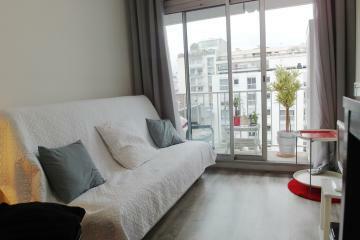 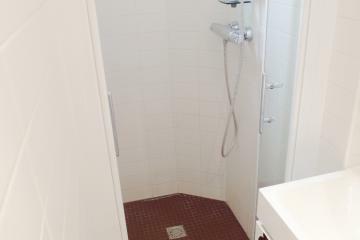 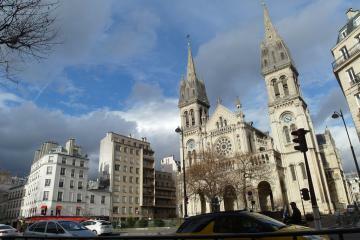 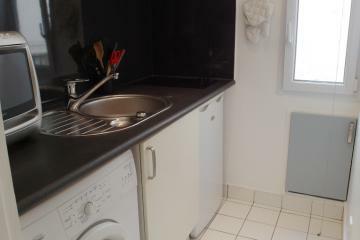 2 nd floor, with Lift, Studio Appartement, furnished, Approx: 30m² / 323 Sq.Ft.